Outlook Manipulator Archives - Productive Computing, Inc. Provides bidirectional data exchange between FileMaker® Pro and Microsoft Outlook® using nothing more than simple script steps. 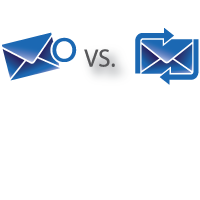 Along with suppressing the Outlook security dialog the Outlook Manipulator v3 plug-in can exchange data with Microsoft Outlook Contacts, Calendar, Tasks, Mail, Notes and Journal for the “user’s” default folder. With the plug-in you can program scripts that allow you to populate Outlook with data from FileMaker and vice versa.